Soccer star David Beckham and French club Paris Saint-Germain have failed to reach a deal, meaning the 36-year-old midfielder might stay with the MLS champion LA Galaxy. "David Beckham is not coming,'' PSG President Nasser al-Khelaifi said at the Qatar Open tennis tournament, the Associated Press reported. "We feel a little disappointed. But both sides agreed it would be better that we not do the deal ... maybe in the future." PSG sporting director Leonardo told French newspaper L'Equipe that Beckham chose to remain in LA for family reasons. "David was very interested in coming to Paris," he told the newspaper. "But the welfare of his family in Los Angeles, the wish not to change everything in his life, weighed heavily." Beckham and the Galaxy will attempt to finalize a deal this week, according to the AP. The Beckhams -- he and his wife Victoria have four children -- moved to Los Angeles in 2007 after the former England captain's stint with Spain's Real Madrid. Beckham and the Galaxy -- boosted by the addition of Ireland captain Robbie Keane -- won the 2011 MLS Cup in November, but his five-year contract with the team has expired. "I'm very proud of the time that I've spent with the Galaxy and it might continue,'' Beckham said recently. 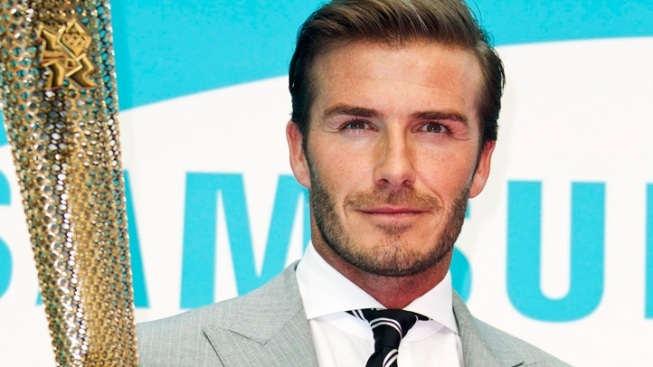 Beckham was earning a base salary of $6.5 million. French media reports indicated that PSG was willing to nearly double that salary. The team's Qatari owners have been on a spending spree during their six months at the helm. The MLS season begins in March. Beckham, he'll be 37 in May, had his best season with the Galaxy last year. He finished with 15 assists, second best in the league, and managed to remain healthy after a recovering from a serious Achilles tendon injury that sidelined him for most of 2010.